The XVM-177A 17" Full HD 10-Bit Color-Critical Reference Monitor from TVLogic is designed for on-set and studio color-critical monitoring applications. 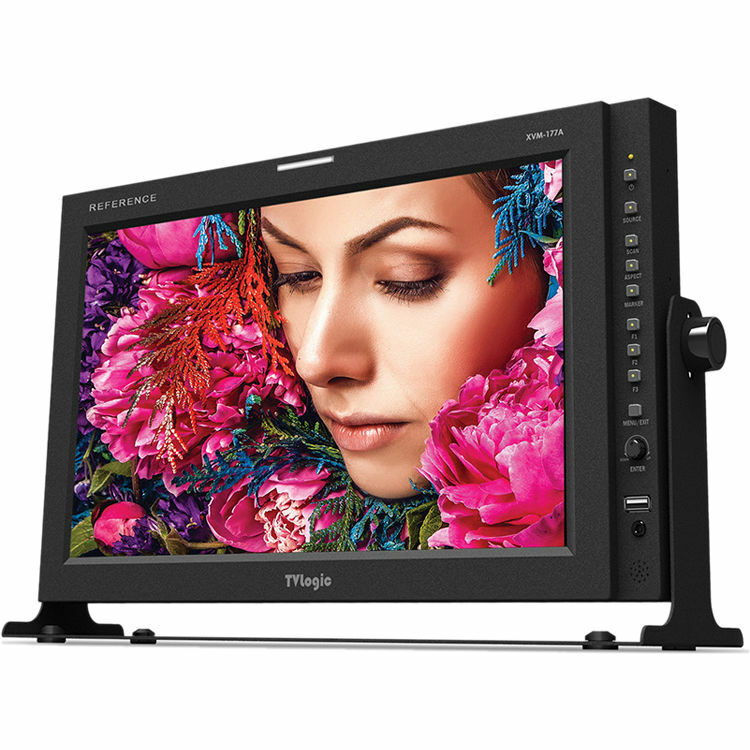 It combines a 12-bit video processing engine and precise color calibration technology with a 10-bit, high-quality native 1920 x 1080 IPS LCD panel for reference standard video monitoring. It includes features like focus assist, markers/mattes, waveform/vectorscope, timecode display, UMD, closed caption, fast mode, multiple color space presets with internal 3D LUT, backlight and gamma control, import of third-party 3D LUTs, and more.